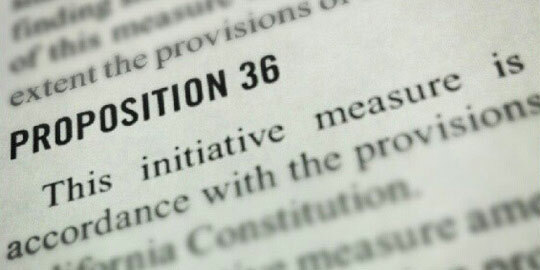 Proposition 36 was passed by California voters on November 2012. This law changed the way three strike cases in California are handled. Under the old law any felony coupled with 2 or more prior serious or violent felonies would result in a sentence of 25 years to life in prison. Now, with some exceptions, the third strike must also be a serious or violent felony in order to trigger a life sentence. It also allows for review of previous life sentences that would not under the new law result in a life sentence. These reviews are a critical step in a resentencing. Many mistakenly assume that the resentencing is automatic. In fact the resentencing of a 3rd strike offender is discretionary. The court can and in some cases will decline to resentence the defendant, and allow the life sentence to remain. If you are a friend or a relative of a third strike inmate seeking resentencing you should contact our office for legal assistance. Time is also of the essence. Inmates currently serving a life sentence only have until November 6, 2014 to file a petition for the court to reconsider the previous life sentence. Failure to do so could bar a later hearing. If a person is currently facing a 3rd strike case, or the case is on appeal actions also must be taken to avoid a 3rd strike sentence. Our office can help petition for review of 3rd strike sentences for those that meet the criteria for resentencing.